Are you ready for some sunshine? It's pretty gray in our area during the winter months. The sun doesn't make an appearance all that often, but as I write this post, the sun is shining brightly outside. It warms me up on the inside and boosts my mood. However, I love gray (the colour-not so much the weather) and yellow is up there in my top 5 as well. Pairing them together makes a sweet combination. Isn't it pretty? 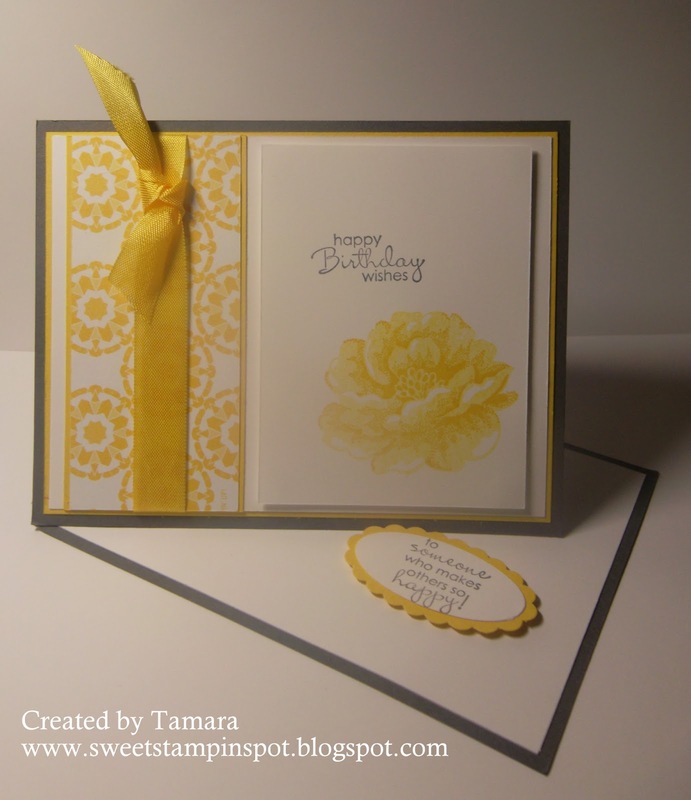 The flower was inked up with Daffodil Delight Classic Ink and then stamped off on scrap paper once before stamping the Whisper White sheet. Then I inked the coordinating stamp in Daffodil Delight and stamped it full strength on top using the Stamp-a-ma-jig to line it up just right! But wait, there's more! There! I love the crisp white against the gray and yellow. 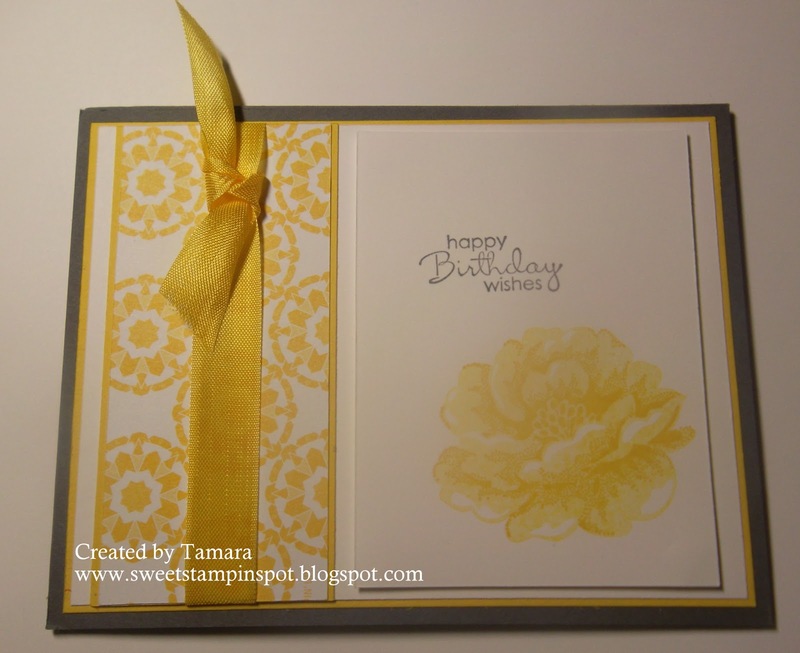 It's a very clean and simple card with just some layers and minimal stamping. What's your favourite piece to this card? Tools: Scallop Oval Punch, Large Oval Punch, Simply Scored, Stamp-a-ma-jig. 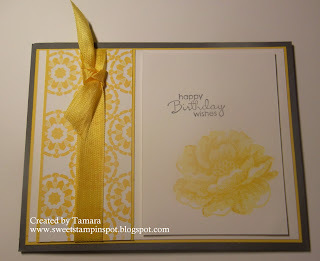 my fav is the desire to know how to do an easel card, you made me want to find a tutorial. I love the yellow. I always think of yellow as a "Tamara colour." Also, your pictures look so professional! Tips?